Jimmy Cricket had a trip down memory lane this weekend as he was taken back more than 40 years. The popular Northern Irish comedian did a show at the Trecco Bay Holiday Park in Porthcawl, South Wales, where he first performed in 1976. Along on the bill were sixties US rock group The McCoys, who are best known for their 1965 hit Hang on Sloopy. 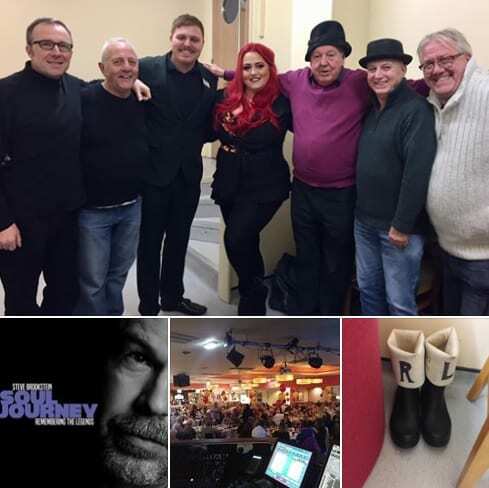 The band posted on Facebook: “Such a great night, last night at Porthcawl’s Trecco Bay Holiday Park‘s Golden Ticket Event, with the incredibly funny comedy legend Jimmy Cricket and the fabulous soulful vocalist and X Factor winner Steve Brookstein.